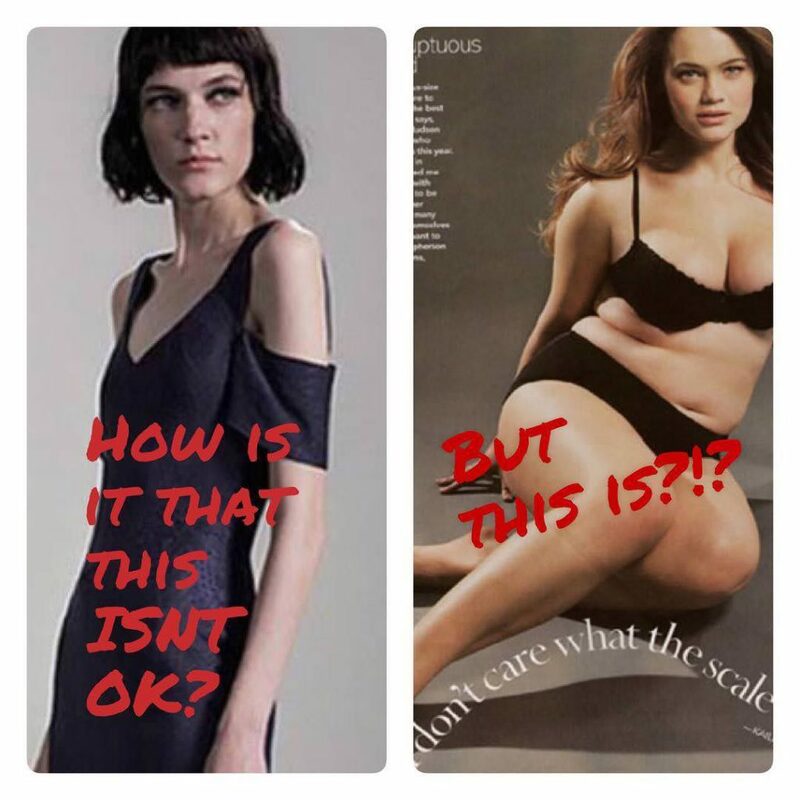 “I saw an article recently that was celebrating the ‘larger’ female form. I find it so hard when I was classed as a size zero model where I was sneered at, thought of as disgusting, underweight, and that I shouldn’t be allowed to work until I’d put on weight. It was accepted that I wasn’t normal in the media but I’m sure if these overweight models were talked to, and treated the way I was, all hell would break loose. We are meant to be living in a more accepting, more understanding world, and yet we are overlooking the fact that we are starting to accept people being overweight.